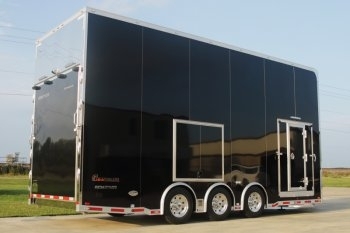 RPM Custom Stacker Trailers, RPM is committed to satisfying the unique needs of each of our customers by providing a premium quality custom product at an affordable price. 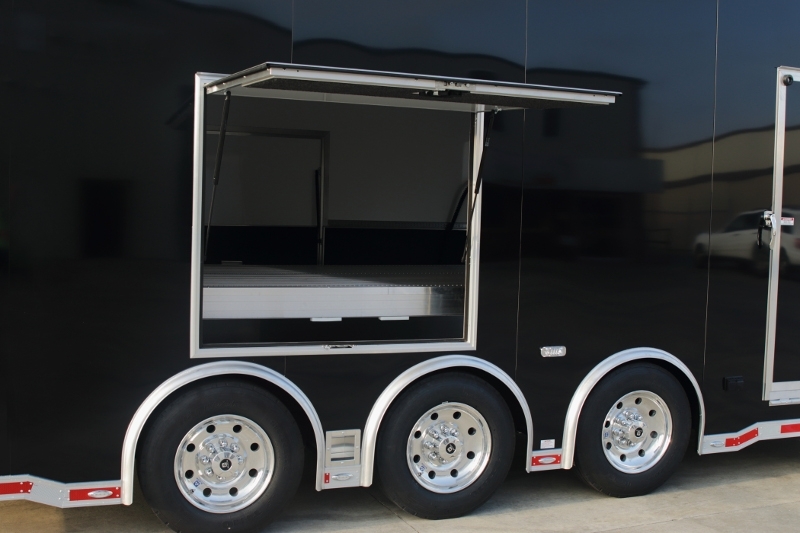 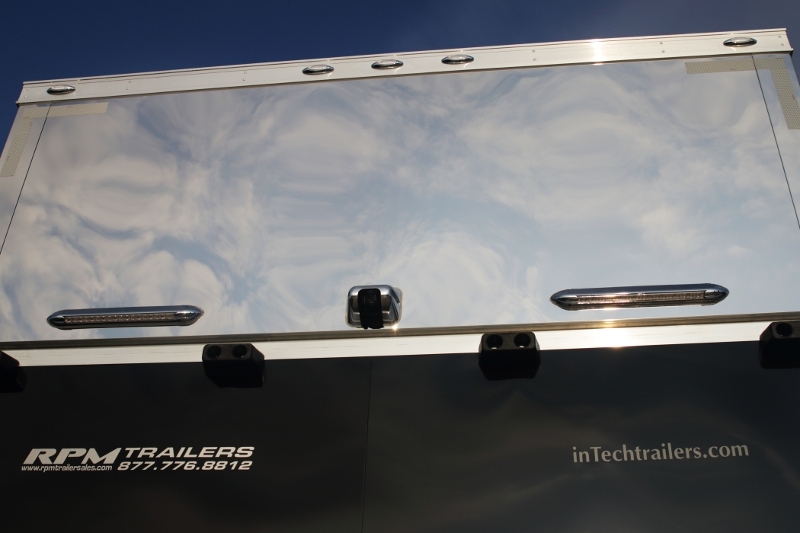 We take pride in the fact that we bring into the world the best custom stacker trailers money can buy. 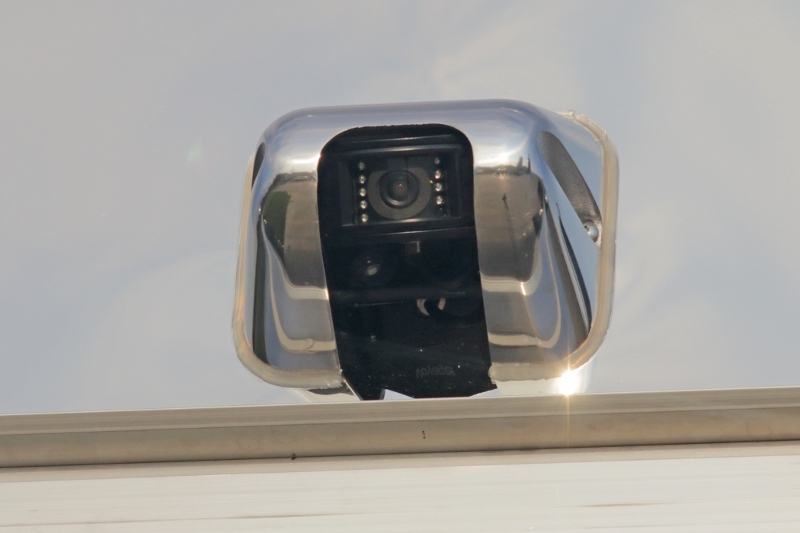 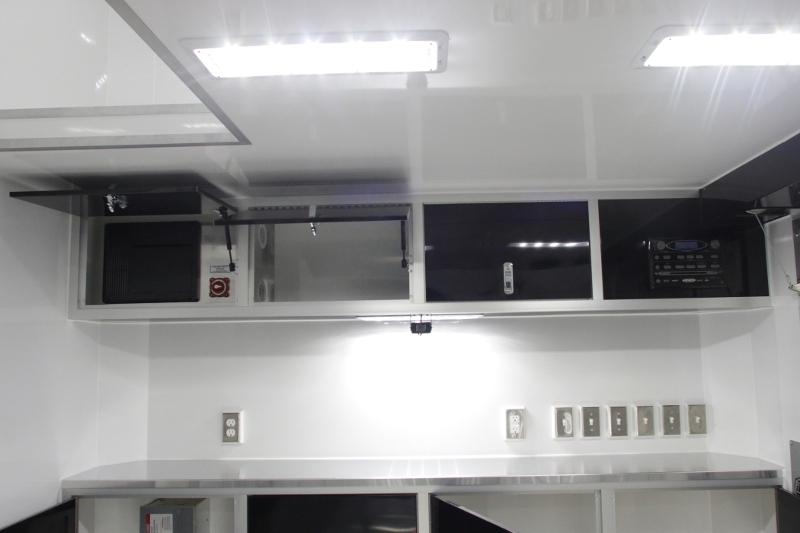 Making sure that each part of the trailer, no matter how insignificant, is of the highest quality possible. 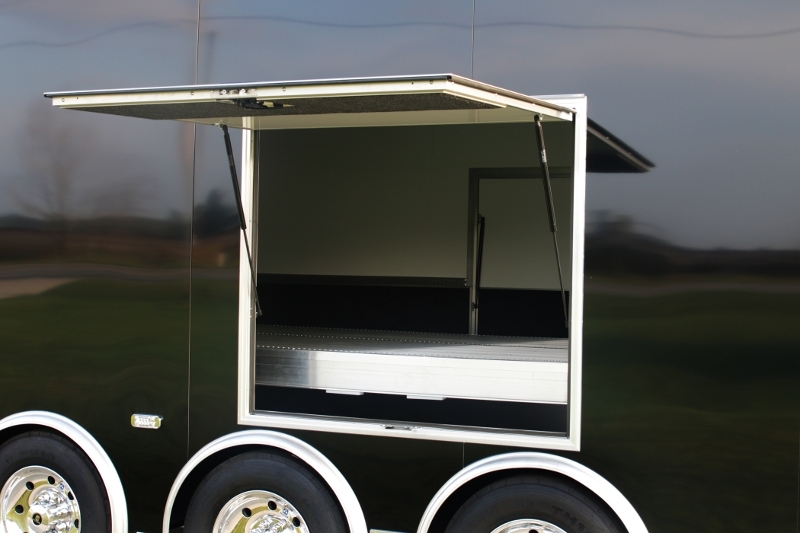 We create a trailer that is more than just the sum of its parts, we create the best custom aluminum trailer for your needs. 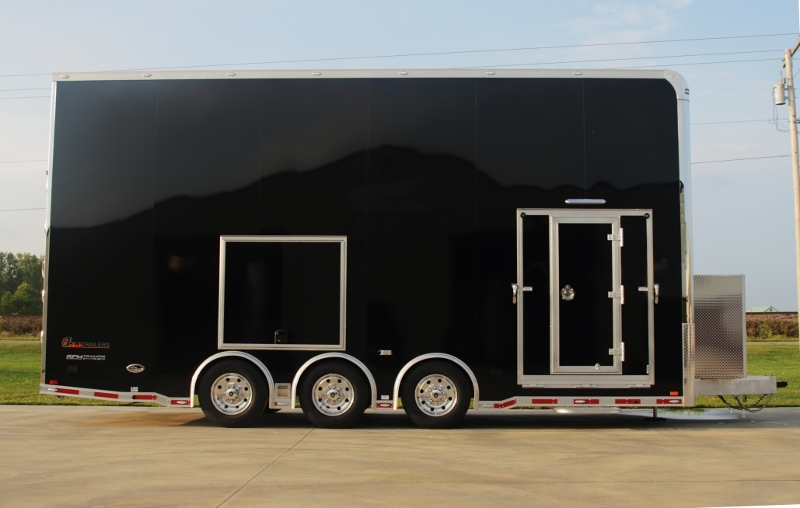 Brad Sellers, our custom stacker specialist designed this custom stacker trailer specifically for the owner’s needs. 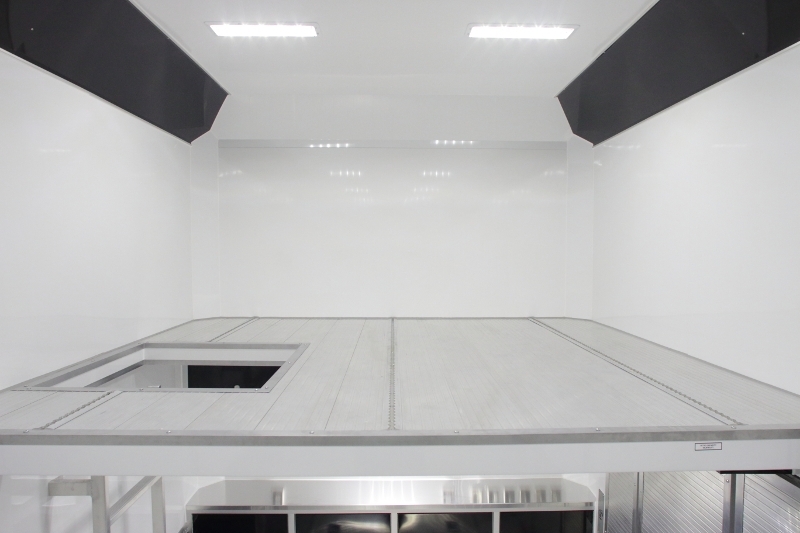 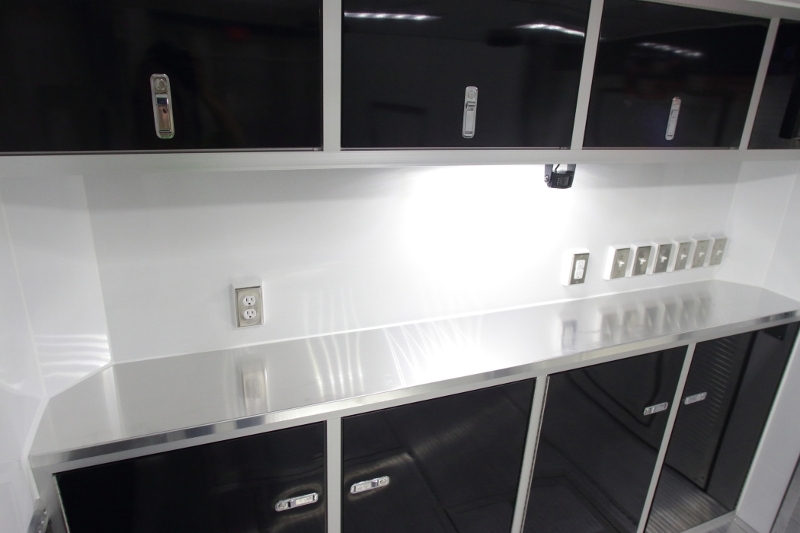 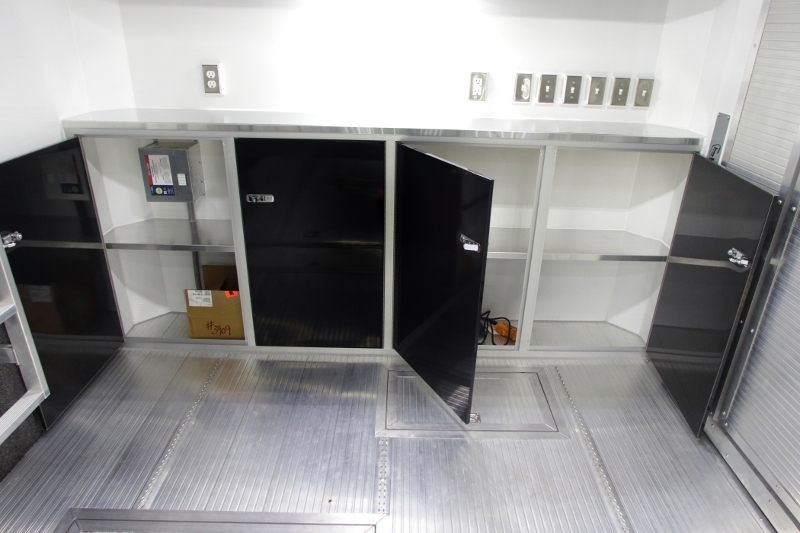 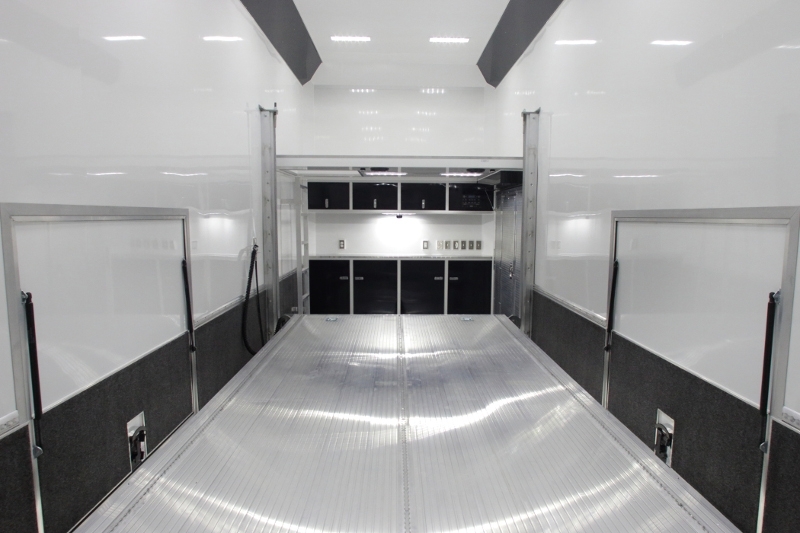 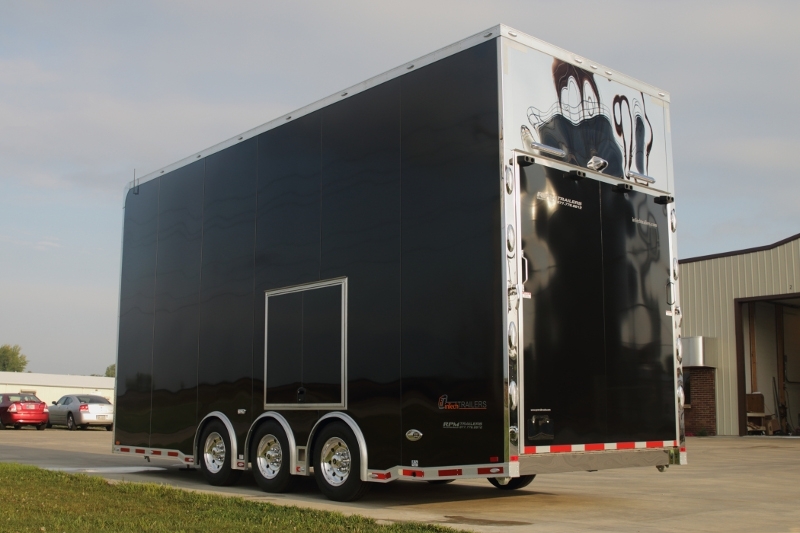 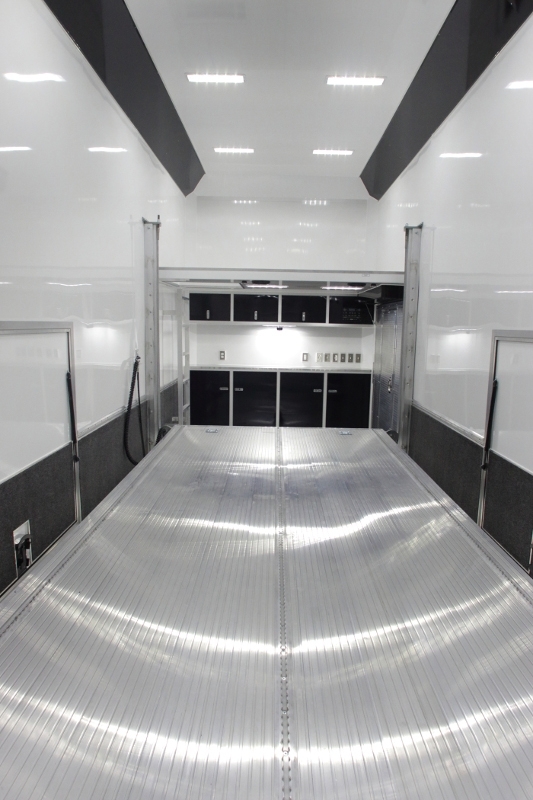 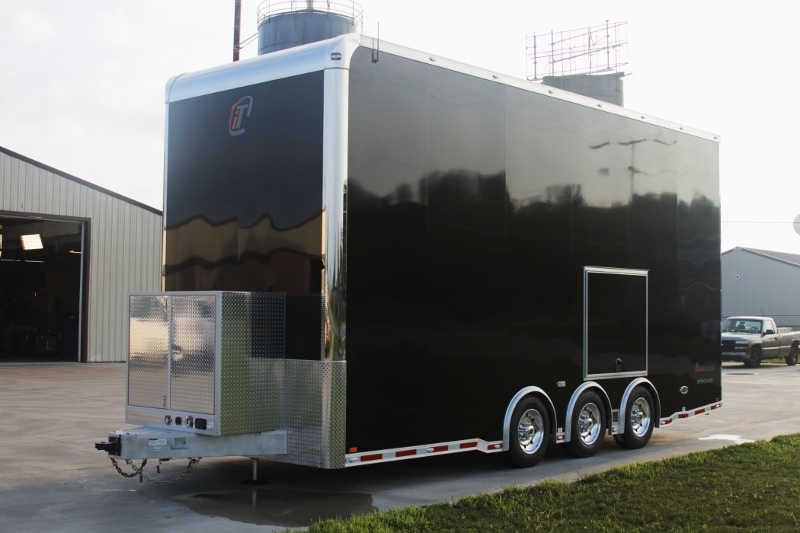 This incredible 24’ car hauler has a little bit of everything under the roof. 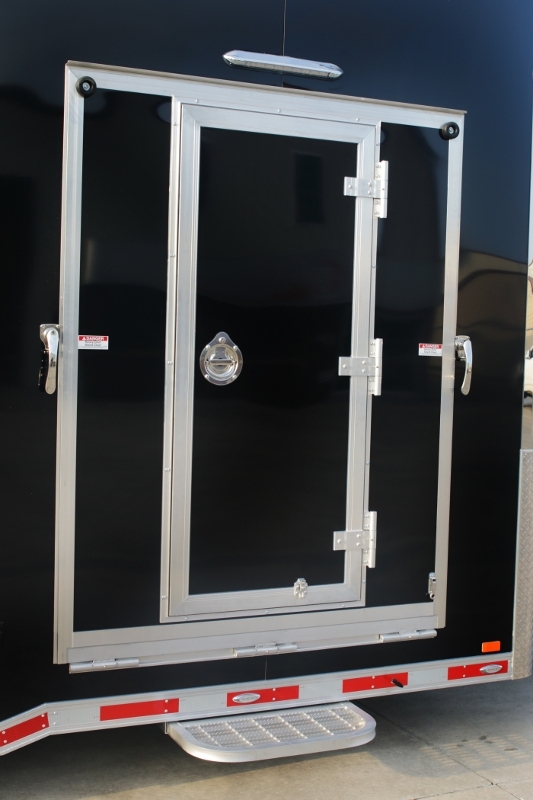 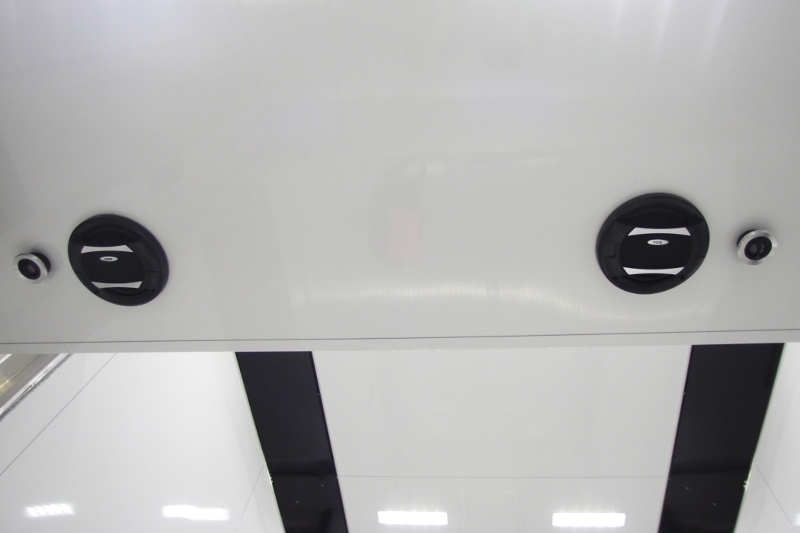 Featuring 2 escape doors for getting out of your car & allowing great access for tying them down. 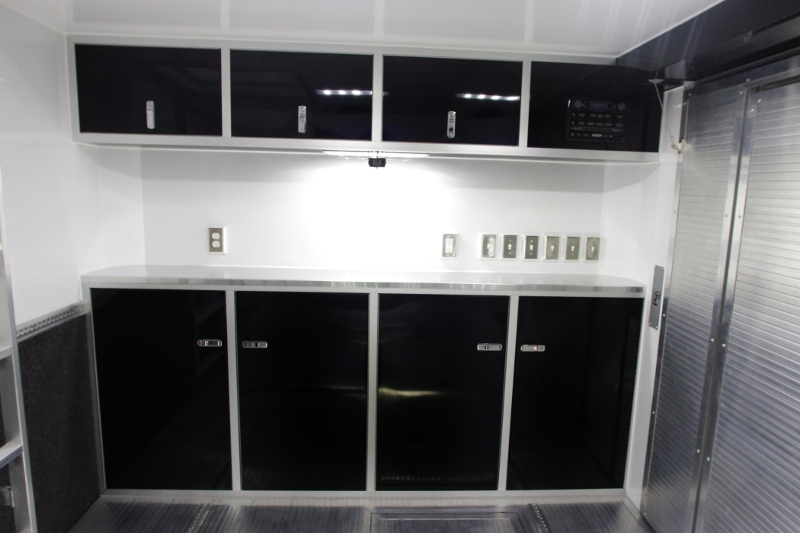 The black base and upper cabinets make a bold statement. 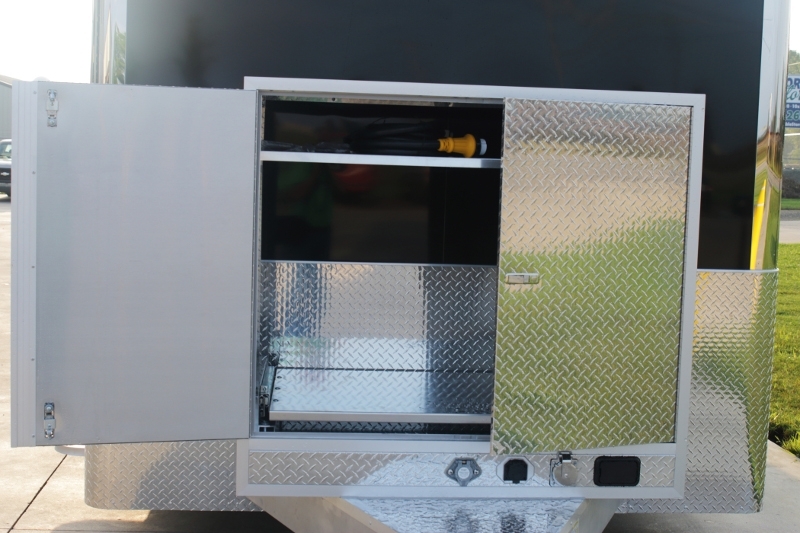 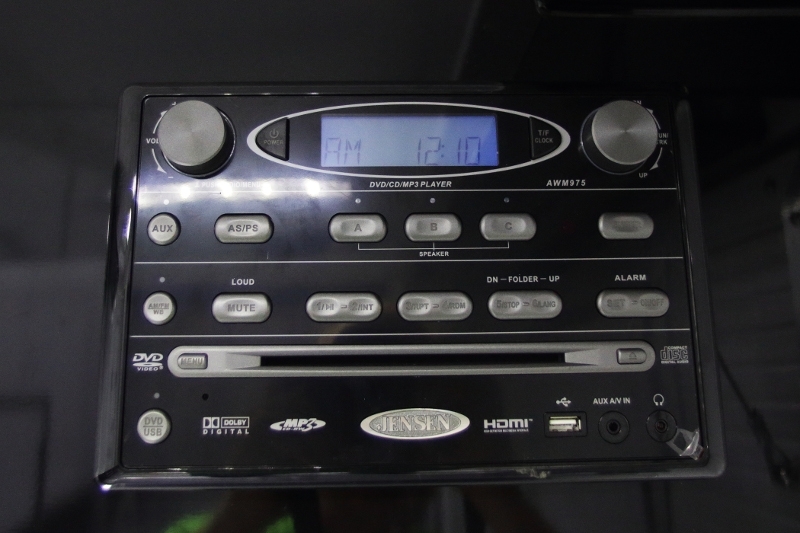 Stereo Package and no shortage of lights inside or outside for this beauty, it’s loaded with LED’s. 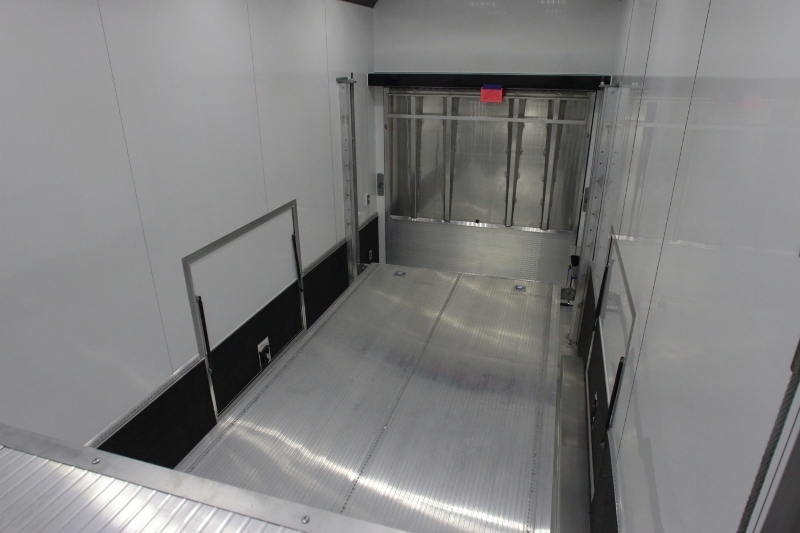 We’ve got 34” high carpet on interior walls and much more. 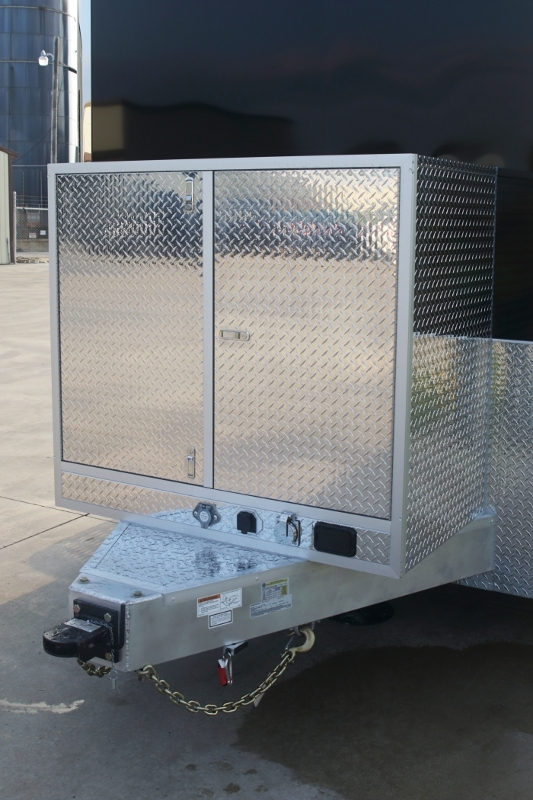 If you haven't already, take a good look at the extreme value that RPM Trailer Sales offers, you might just be surprised at just how much trailer you can get for your hard-earned dollar.